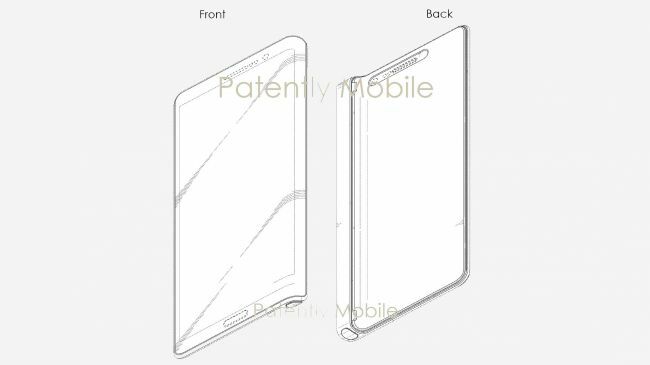 The Samsung Galaxy Note of the future may be thinner than you’ve ever imagined after a new patent filed by Samsung shows an idea for an upcoming Galaxy Note device. Samsung’s iconic edge display features on the right hand side of the phone, but there’s no sign of the screen curving to the left – which seems a little odd considering the new Galaxy S8 and S8 Plus both have dual-curved edges. We expect to see the company announce the Galaxy Note 8 later this year, but it’s unlikely this will be the design of that phone considering the Note 7 problems. We expect the Galaxy Note 8 to come with a similar design to the Samsung Galaxy S8 and Galaxy S8 Plus, but with a slightly larger display and an S-Pen stylus built-in too.